In a recent post on their site, the makers of the Skyrim Script Extender announced they are working on a new version of the SKSE for the 64-bit Skyrim Special Edition. They also noted that the release target for the SKSE64 beta is mid-March. Here is the video, where a team member explains the current state of Skyrim Script Extender. 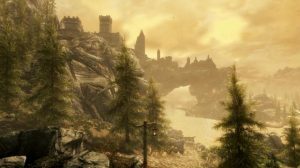 The Script Extender is a mod other Skyrim mods rely on, as it expands Skyrim’s scripting capabilities and allows for added complexity and functionality of mods. Probably one of the most popular mods that relies on the SKSE is SkyUI, which in addition to providing a much better interface allows still other mods to use its mod configuration menu (or MCM). Most mods will work without the MCM, but some of them lose certain features and the functionality of easy, in-game customization.